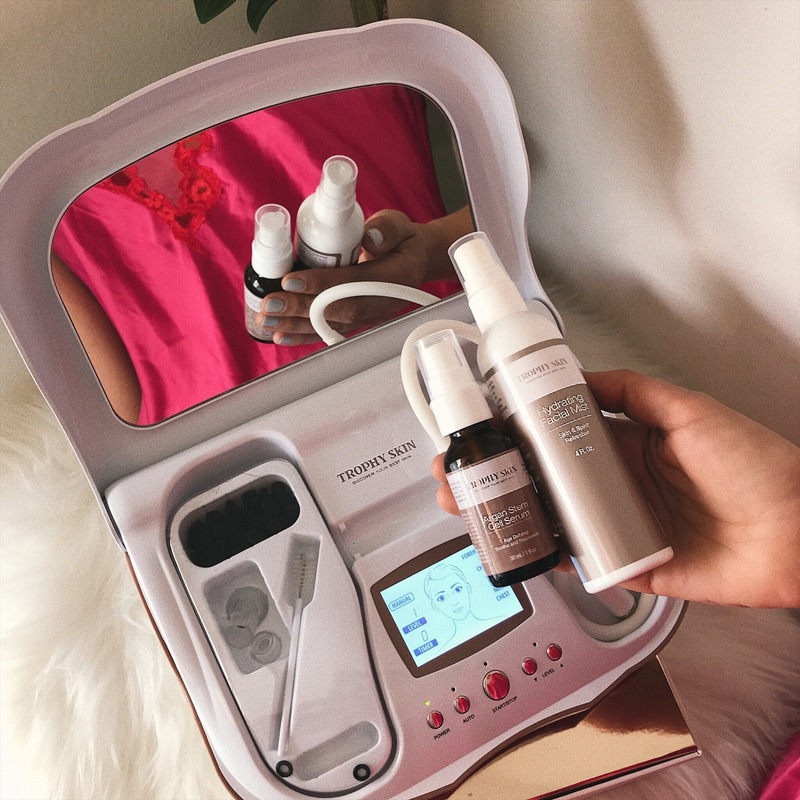 If you have ever turned to an esthetician for microdermabrasion treatments to enhance the quality of your skin, then you know it can make a big difference because this treatment delivers a younger and healthier look. The only downfall to such sessions is the high fees involved which may make you think of other better alternatives. Thankfully, you can now perform this procedure at your home using MicrodermMD by Trophy Skin. The treatment only takes five minutes to get done. The first thing you need to do is to clean your face with a cleanser that you normally use in your skincare routine. This helps you remove all dirt and oils before treatment. Connect the power plug adapter to any power outlet and then plug the cord into the power port at the back of the MicrodermMD. You will see a red light above the power button to show that the device is connected. Remove the diamond tip gently from the end of the product to check whether a black filter is in place within the wand. Place the tip back on and push it all the way down to ensure it is firm on the device. It is always recommended to use the auto mode for your first few treatments. It guides you through the whole process of treatment for the entire face and neck. Start by pressing the auto button and you will notice the arrows showing the first zone of the face you should treat. Press the Start button to begin the process. There is a present suction level and timer of each zone of the face e.g. forehead, eyes, cheeks, nose, chin, neck, and chest. The auto mode will switch to the next zone once a particular zone is finished. Once you apply the diamond tip to the face, you will feel the suction power pulling on the skin. Move the tip in the direction of the arrows of the skin using short even strokes. Ensure that the diamond tip is flat against the skin to maintain suction the entire time and then brace the skin with your free hand. To switch to the manual mode, press the auto button again. Select your desired suction power level and treat any area that you choose. Begin with level one or two during the first few treatments, until your skin gets accustomed to the diamond tip. The precision diamond tip is used to treat the hard to reach areas such as the creases of the nose or around the eyes. Wash your face with cold water after every treatment to remove any skin debris and gently pat dry. Apply Trophy Skin’s Argan Stem Cell Serum for each treatment. It has been custom formulated by soothing anti-inflammatory ingredients and high anti-aging peptides. 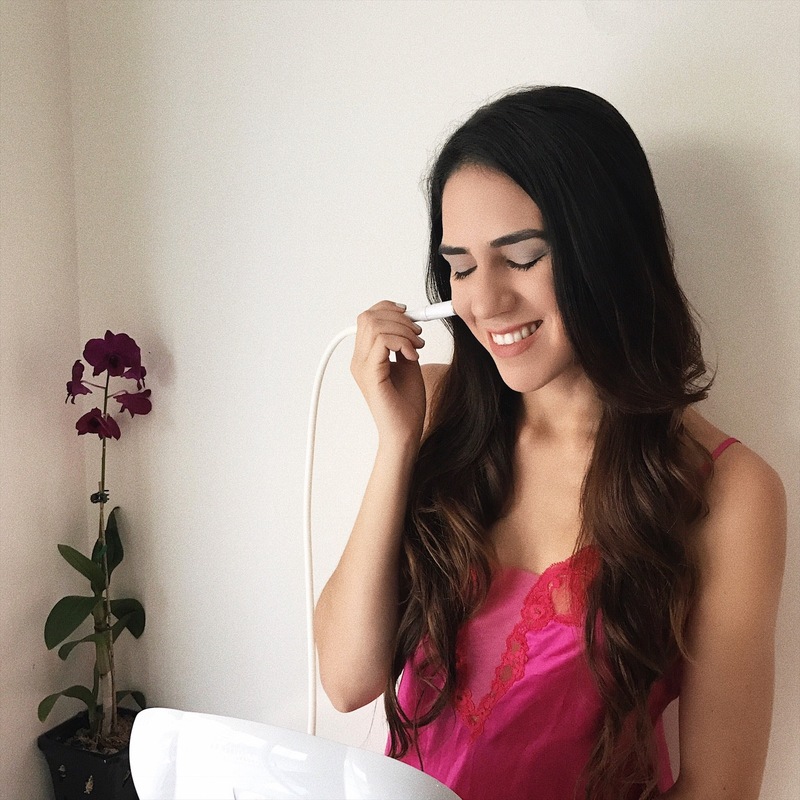 MicrodermMD is one of the best microdermabrasion machines because it is easy to use and offers flexibility at home. The results seem to be much better than the professional treatments and it is an ideal way to get younger and to achieve a perfect skin. You can learn more at Trophy Skin website by clicking here and use code “hadasah” for 10% off. Thanks to Trophy Skin for sponsoring this post! I’ve only done microdermabrasion with my facialist, but I’d love to do something like this at home! That’s amazing.